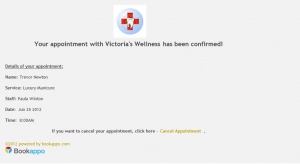 Bookappo’s ongoing quest for a complete, customizable and feature-rich product continues with the introduction of Appointment Reminder customization. 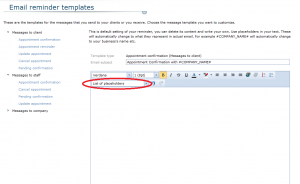 This handy feature allows you to customize all email appointment reminder templates to fit your needs or delete the pre-set default templates and write and structure the whole text completely on your own. There are many templates to choose from. 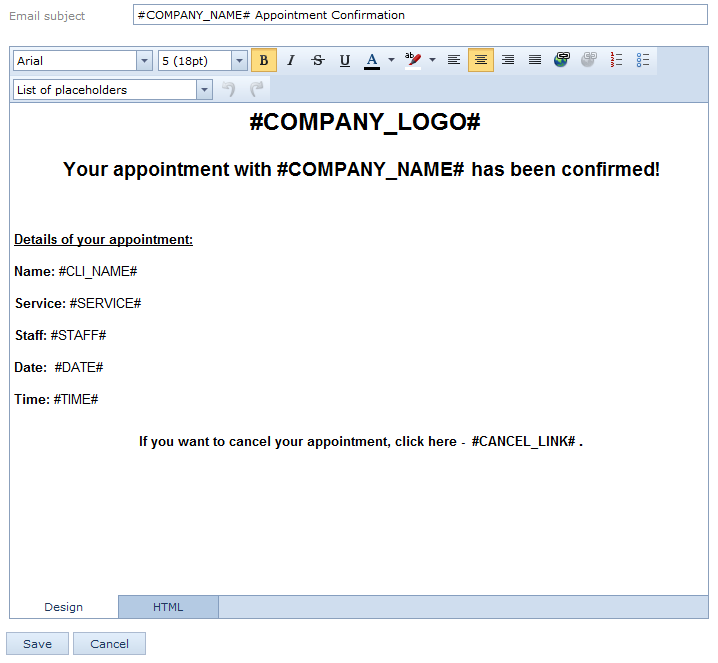 You can edit appointment reminders that your client will receive, such as Appointment Confirmation, Appointment Reminder and so on. 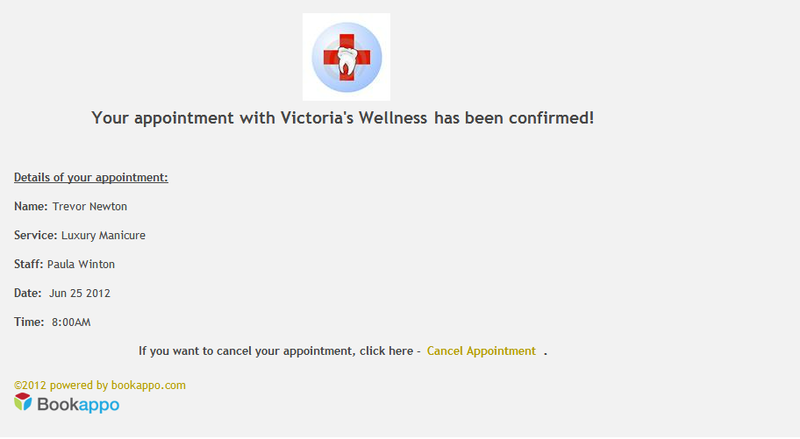 Also, you can edit reminders for your staff, for instance Pending Confirmation or Appointment Update. 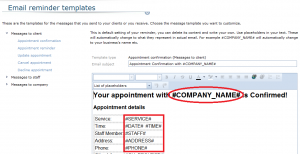 Same options you have in the third section – business reminders which are sent to your business email. These and many more give you a complete control of interaction between your business, clients and staff. The whole process is similar to writing a text document. We have also added special placeholders, which will help you save time while creating or customizing your reminders. The following section will guide you through the process..
1. Log in to your Bookappo account. 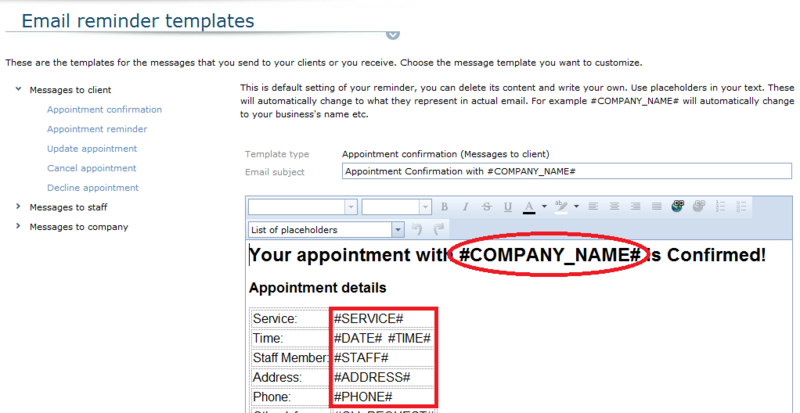 Select ‘Settings’ and then ‘Appointments’. Here, select ‘Reminders’ in the small menu on the left side. 2. 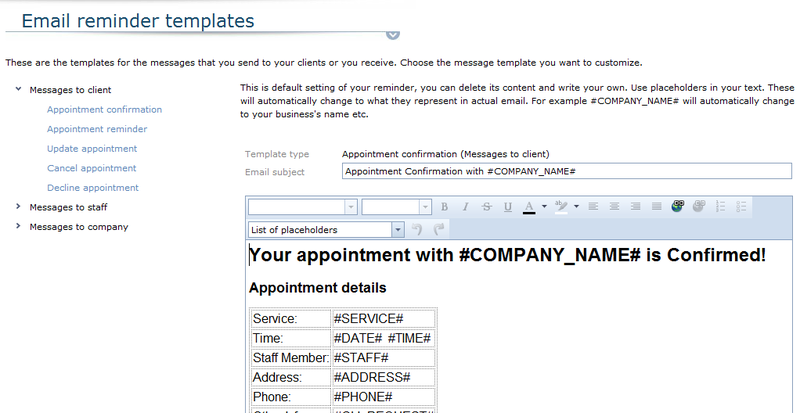 Next, select an email reminder template you want to customize. 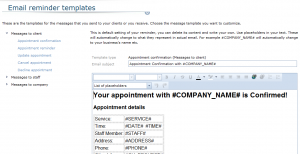 In this guide, we are using Appointment Confirmation template for your client, but the process is the same no matter which one you want to customize. A small text editor with the default reminder template will appear. Here you can either edit it, delete it and write your own reminder or leave it if your are satisfied with how it looks. 4. If you decide to compose your own reminder, simply delete the default text and write your own. Use placeholders from the list on the top left corner menu to speed up the process. 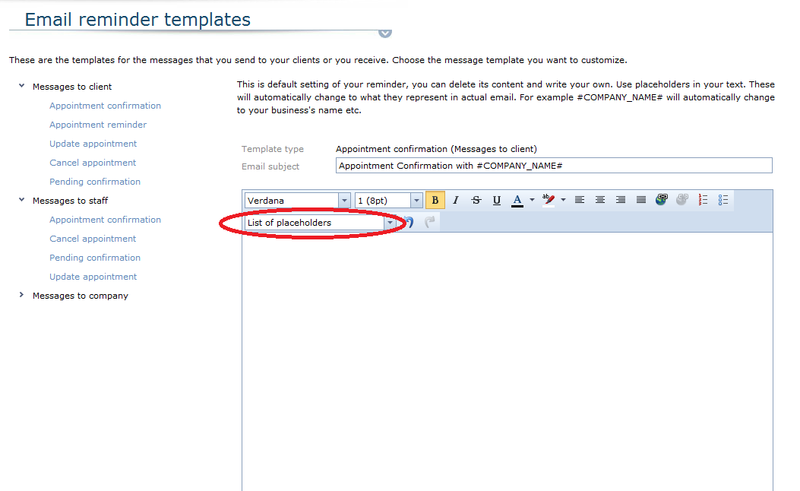 NOTE: Mind that you can also change the subject of the email and use a placeholder in its text. 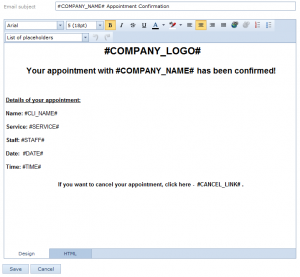 This entry was posted in Tips & Tricks and tagged Customizable, Email Reminder, Placeholders by admin. Bookmark the permalink.